You have already worked so hard in making that website by diving into details of programming, speaking to some web experts and spending a lot of time making things right. All that is left to do is to make sure that you and your online visitors are safe from any security risk that’s roaming around the web. But adding a feature for your site means you must spend more time, energy or even cash to ensure that the site will be safe from any amateur hacker. You would also need expert advice to make sure that you are indeed making things better instead of the other way around. Doing a few security checks to make sure that your website will not have problems related to hacking, data theft and such, may reward you more bonuses in the future. You might be surprised how many hacking incidents are reported every day. As our technology improves, a lot of hackers are also making their way through many website backdoors. And yes, these “hacktivists” are focusing on sites that they find productive and easy to break by using different types of scanners. WordPress websites are lifesavers when it comes to easy website-making since they have already prepared the goods for their customers. But hackers also find WP vulnerable of their capabilities, especially those without strong security plugins. Small business owners rely on these kinds of open source website creation tools. Which is why there’s no surprise that some of the WordPress communities are filled with local business owners trying to advertise their products online. 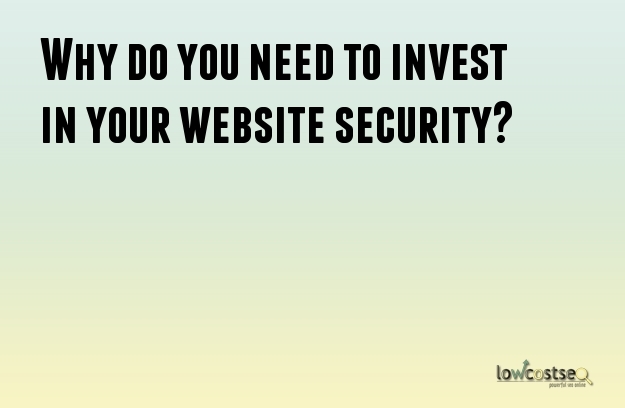 Protect your WP site by knowing what your hosting provider offers to avoid risks. Allow co-admins to create unique passwords as well. Even if you’re using a different website creation tool, make sure that you are also up to date with Google’s security tools. Small business websites may ask for a visitor’s sensitive information for payment, delivery, etc. As a business person, you cannot risk your customer’s information on going public because it can taint your company’s name, and will cause gradual depletion of sales – something that we should be avoiding. Google has already made a move to help web users know if a site is secure or not. One of it is the Secure Sockets Layer (SSL). If your site does not guarantee your visitor’s safety, it will be marked with the “Not Secure” red sign. Which is why it’s time for many to make their sites hack-free, including you. If you own a WP site, get rid of that “admin” name and change it into something else. Use powerful passwords and limit your site’s log-in attempts too. Keep everything up to date from plugins to themes and ensure that they are from trusted sources. Walking away from these online money-making hackers can be done with the right tools and people. If you keep track on how the major search engine websites are helping users protect themselves from hackers, it could help you choose a better layer of security for your site.